Another season underway! 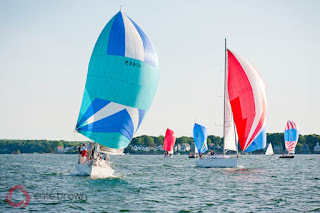 For those of us who live in the West Bay, and sail, the popular summer series run by Wickford Yacht Club is Wednesday Night Racing, happening just about every Wednesday night from Memorial Day to Labor Day. 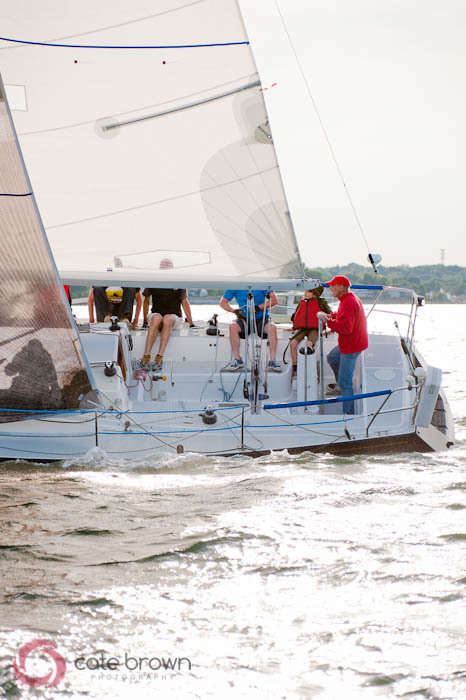 It's a fun laid back group of boats sailing anywhere between Wickford Harbor, the Jamestown Bridge, the North End (Jamestown), and Quonset Point. And we all follow the Ten Commandments of Beer Can Racing. 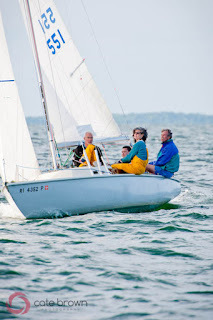 At the time of writing this, we now have two weeks of regular racing under our belts and I am happy to report Papa is in the lead with two bullets (in the Cruising Class)! For those of you who are new to this blog or unfamiliar with Papa, it is my parents' Nonsuch 30 named for the nautical flag meaning "All Aboard!". 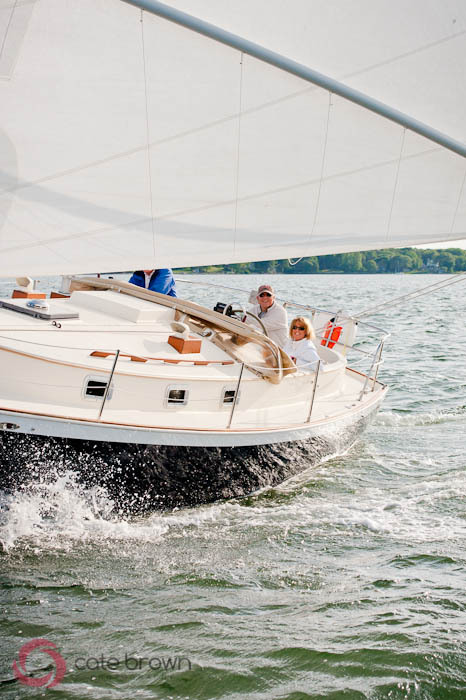 I usually will hop aboard with friends and family, and take a few photos in the process. 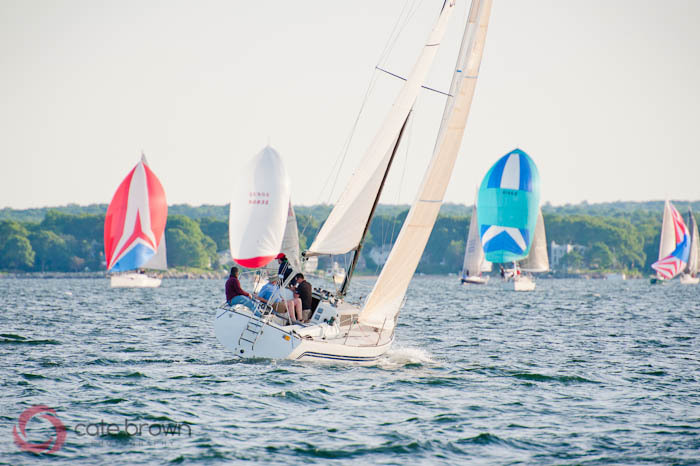 Race 1 saw a typical Wednesday night with a seabreeze at about 10 comfortable knots, tailoring off by the time everyone was heading back to harbor. We finished second behind the much older and much lighter Nonsuch, Bizzy Ball, but with corrected time Papa finished first! 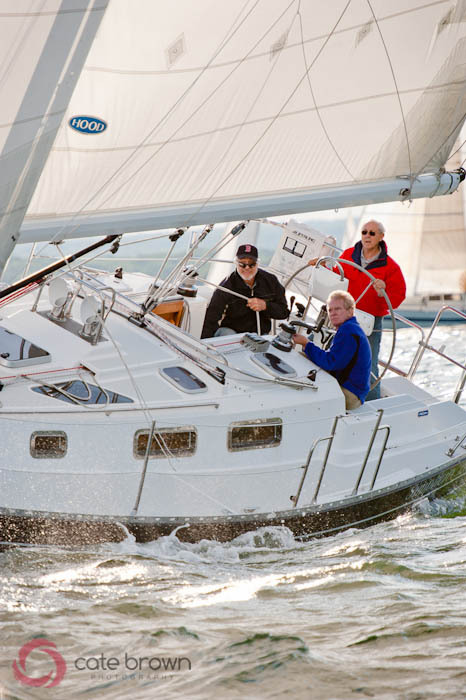 Race 2 saw much stronger breezes and a triangle course. 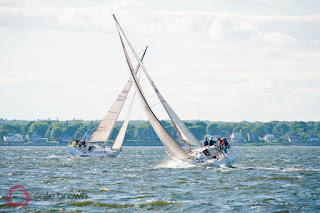 We led by a couple boat lengths around the windward mark, and thanks to our hefty crew of about 8 individuals (11 for some weeks) we managed our jibe in the 15+ knots no problem. We were heading downwind at about 6+ knots at times. 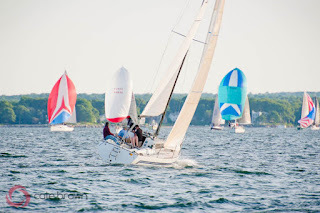 But Bizzy Ball with their crew of only 2 decide to tack around the jibe mark instead, putting us further in the lead and Bizzy Ball in contention with Wings II who was sporting a reef. While Bizzy Ball made up some time upwind, we still finished a few boat lengths ahead to pull out an uncontested first! 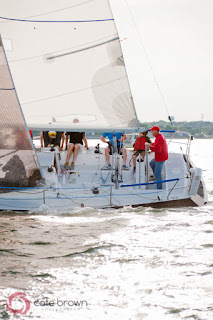 It's been a great start to the season and we can only hope for more great wind and weather. 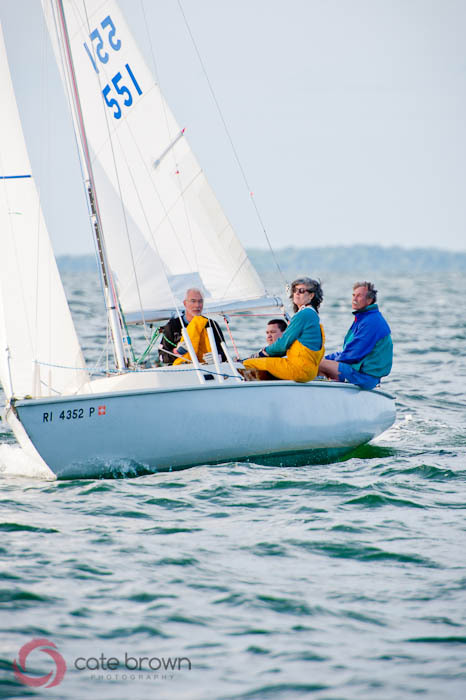 Check out all the regatta photos in the WYC Viewing Gallery for Personal Purchases. For Fine Art or Stock Photography, please inquire with cate@catebrownphoto.com.